When you’re creating e-learning courses, getting the information and expertise you need from subject matter experts (SMEs) isn’t always easy. But it’s essential. 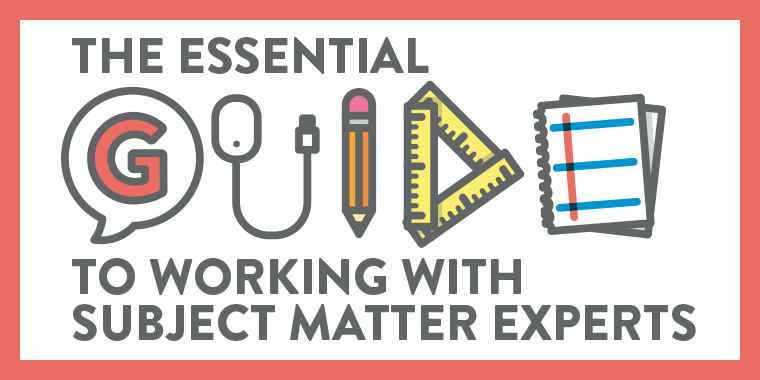 That’s why we created our new e-book, The Essential Guide to Working with Subject Matter Experts. It’s full of proven strategies to help you build a productive and positive partnership with SMEs. Download this free e-book to change the way you approach your SME relationships—and create amazing e-learning.